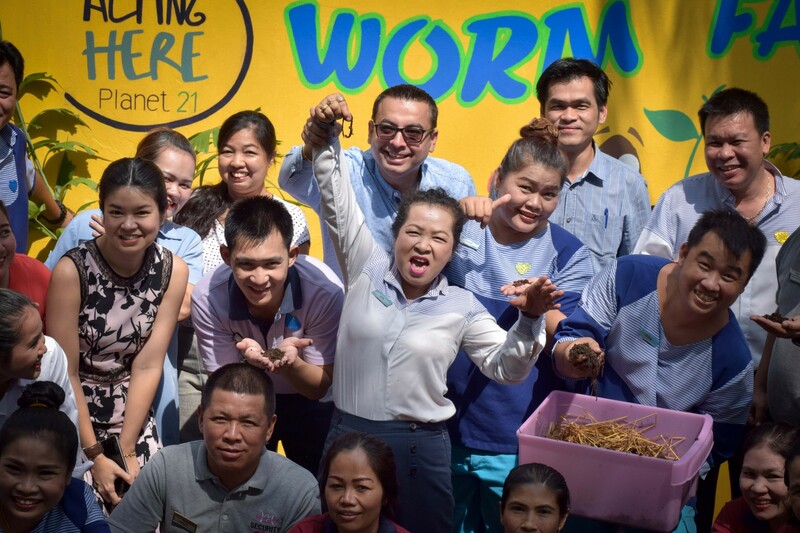 Baraquda Pattaya proudly opened its Earth Worm Farm project on the 21st of March, 2018 (21 because Planet 21). The aim is to use the worms to process food waste in order to produce a nutrient rich soil which we can use for gardening purposes around the hotel. 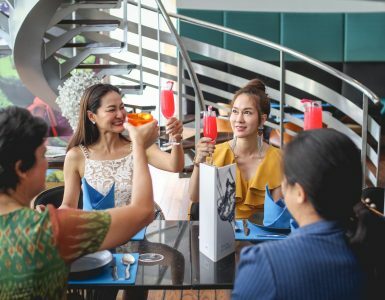 Food waste includes coffee grounds, eggshells, tea bags, fruits and vegetables. This is extremely beneficial for the environment in that the waste which would normally end up in a landfill is converted into compost for the garden. 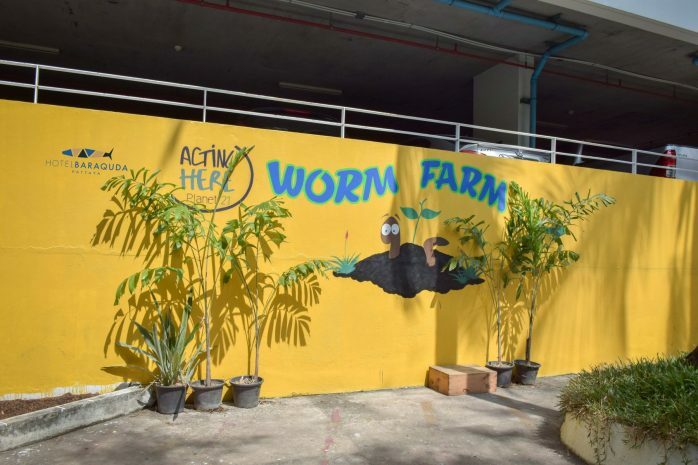 The worms are natural recyclers that break down the food waste put into the worm farm and produce 10 times richer soil than normal.